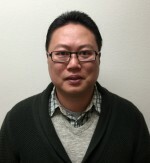 Baylor>Robbins College of Health and Human Sciences>Faculty & Staff>Faculty Directory>Yunsuk Koh, Ph.D.
My current research primarily focuses on examining the role of exercise, nutrition, and obesity in risk factors for inflammation and atherosclerosis. Some of the biomarkers in which I am interested are cell adhesion molecules (i.e. intracellular CAM-1, vascular CAM-1, and E-Selectin), matrix metalloproteinases, oxidative enzymes (i.e. ox-LDL, MPO, and 12/15 LOX), etc. These molecules are known to be strongly associated with inflammation and atherosclerosis; thus, my research has mainly focused on examining the response of these molecules following exercise and dietary modification particularly in overweight and obese individuals that are known to have more susceptibility to inflammation and cardiometabolic diseases. Yunsuk Koh and Jinkyung Park. Exercise and Cell Adhesion Molecules. Journal of Inflammation Research. Journal of Inflammation Research. 11, 297-306. 2018. doi:10.2147/JIR.S170262. Yunsuk Koh, Jinkyung Park, and Rick Carter. Changes in Plasma Oxidized Low-density Lipoprotein and Soluble Cell Adhesion Molecules Following Exercise Training in Obese Individuals. International Journal of Sports Medicine. 39(2), 83-88. 2018. doi: 10.1055/s-0043-118848. Jinkyung Park, Darryn Willoughby, Joon Jin Song, Brian Leutholtz, and Yunsuk Koh*. Exercise-induced Changes in Stress Hormones and Cell Adhesion Molecules in Obese Men. Journal of Inflammation Research. 11, 69-75. 2018. doi: 10.2147/JIR.S158294. Yunsuk Koh and Kyung-Shin Park. Responses of Inflammatory Cytokines Following Moderate Intensity Walking Exercise in Overweight and Obese Individuals. Journal of Exercise Rehabilitation. 13(4), 472-476. 2017. doi: 10.12965/jer.1735066.533. Jonathan Jaoude and Yunsuk Koh*. Matrix Metalloproteinases in Exercise and Obesity. Vascular Health and Risk Management. 12, 287-295. 2016. doi: 10.2147/VHRM.S103877. Rick Carter, Brian Tiep, and Yunsuk Koh. Attenuation of Dyspnea and Improved Quality-of-Life through Exercise Training in Patients with COPD. Journal of Exercise Physiology online. 19(1), 1-16. 2016. Jin Park, Neil Schwarz, Darryn Willoughby, and Yunsuk Koh*. Acute Changes in Soluble Adhesion Molecules Following Different Intensities of Resistance Exercise. International Journal of Sports Science. 5(6), 234-239, 2015. doi: 10.5923/j.sports.20150506.03. Yunsuk Koh, Heidi Bidstrup, and David Nichols. Niacin Increased Glucose, Insulin, and C-peptide Levels in Sedentary Non-diabetic Postmenopausal Women. International Journal of Women’s Health. 6, 913-920. 2014. doi:10.2147/IJWH.S69908. Joshua Miller, Yunsuk Koh*, and Chan-Gil Park. Effects of Power-based Complex Training on Body Composition and Muscular Strength in Collegiate Athletes. American Journal of Sports Science and Medicine. 2(5), 202-207. 2014. doi: 10.12691/ajssm-2-5-5. Yunsuk Koh, Rick Carter, Daniel Chilek, and Douglas Boatwright. A Single Bout of Exercise Altered Lipoprotein Fractions in Postmenopausal Women with Elevated Cholesterol. Gazzeta Medica Italiana. 172(6), 495-502. 2013. Rick Carter, Brian Tiep, and Yunsuk Koh. Spirometry as Part of the Management Initiative for Chronic Obstructive Pulmonary Disease and Screening. RT for Decision Makers in Respiratory Care. 26(4), 8-11. 2013. Doctoral of Philosophy in Exercise Science, emphasis in Exercise Physiology with Nutrition minor. Texas Woman’s University, Denton, TX. 2008. Master of Science in Exercise Science, emphasis in Exercise Physiology. Mississippi State University, Starkville, MS. 2002. Master of Physical Education in Physical Education, emphasis in Exercise Physiology. Kangwon National University, Kangwon, Korea. 1999. Bachelor of Science in Industrial Engineering. Samchok National University, Kangwon, Korea. 1996.